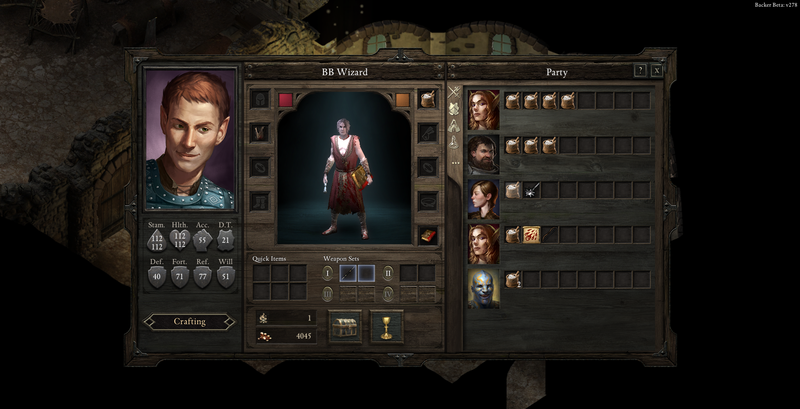 Wizard spell Essential Phantom makes the Wizard portrait dissapear from party roster, makes him unselectable (selecting his model defaults to selecting the PC), inmobile and uncontrolable (he just stands there, the same as his duplicate). 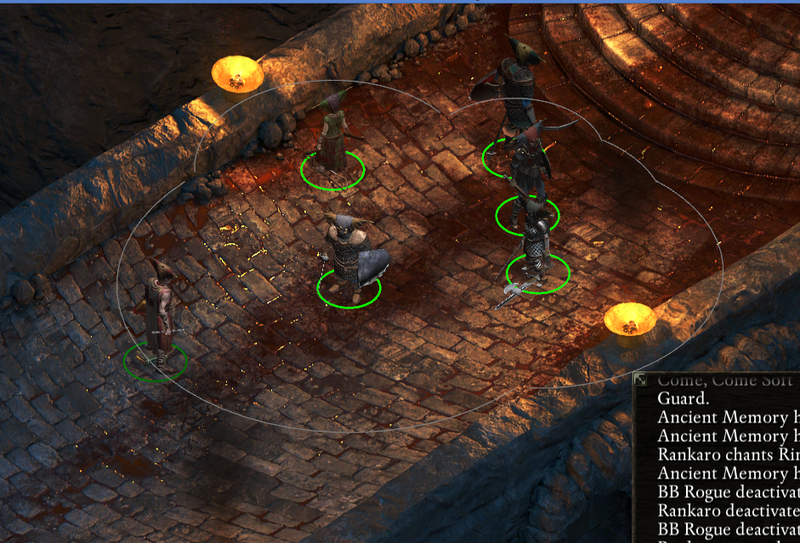 Note: I have 6 party members as I recruited a chanter. This originally happened in the Skaen Temple but Ive been able to reproduce it everywhere else. The picture is after combat. Once you unselect him you cannot acces his inventory again, and he doesnt appear in the Character Screen either. 1) Initiate combat with a level 7 Wizard. 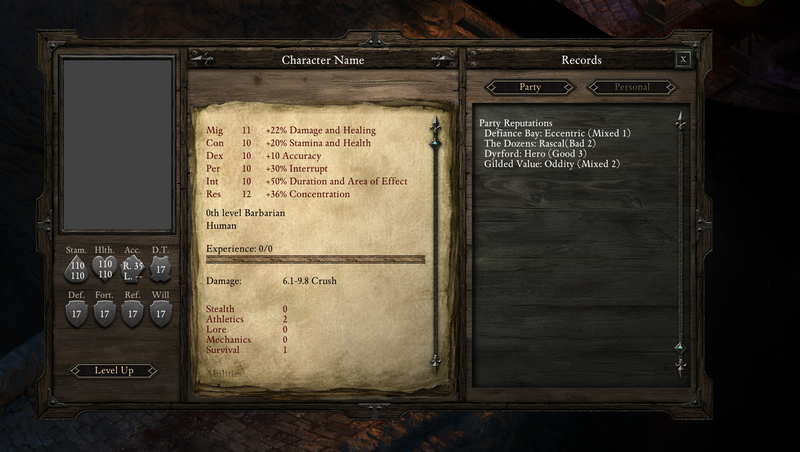 3) The Wizard is removed from your party and becomes uncontrolable and unselectable. 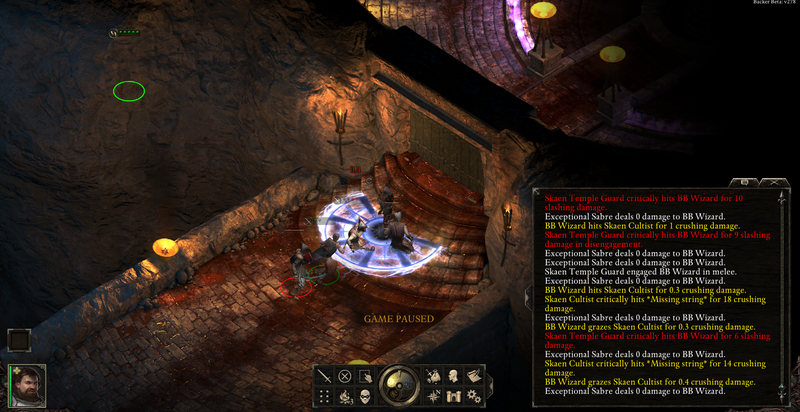 The spell working as intended and creating a duplicate of the Wizard to attack enemies as the tooltip describes. 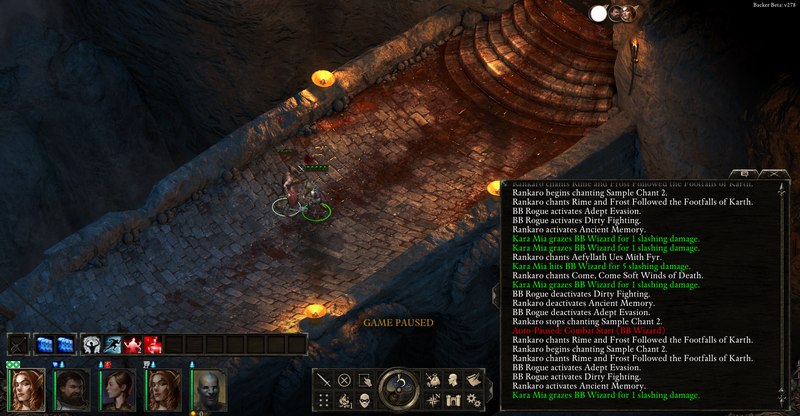 Maybe related but when I reloaded the safefile of right before the Skaen encounter while still in Tyrgyl´s shop with the bugged Wizard the entire party disapeared except for BB Fighter who was stuck in a wall. BB Wizard was there without the phantom and was controlable but still didnt appear. 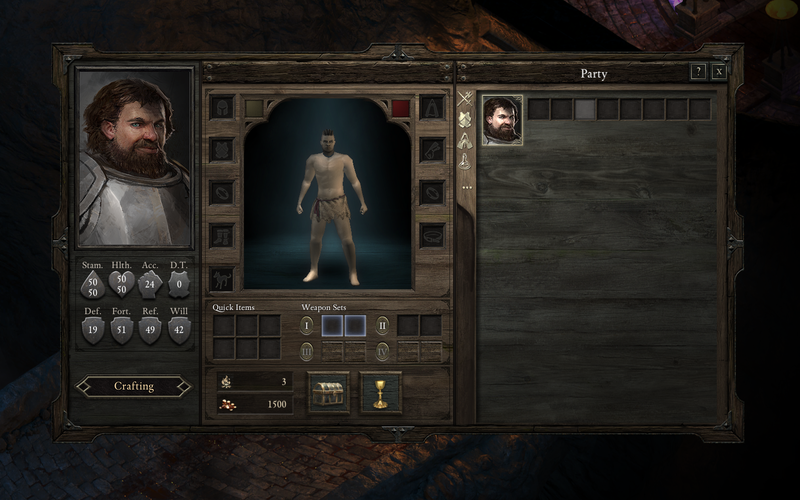 And when combat started he was still with ridiculously high defenses. 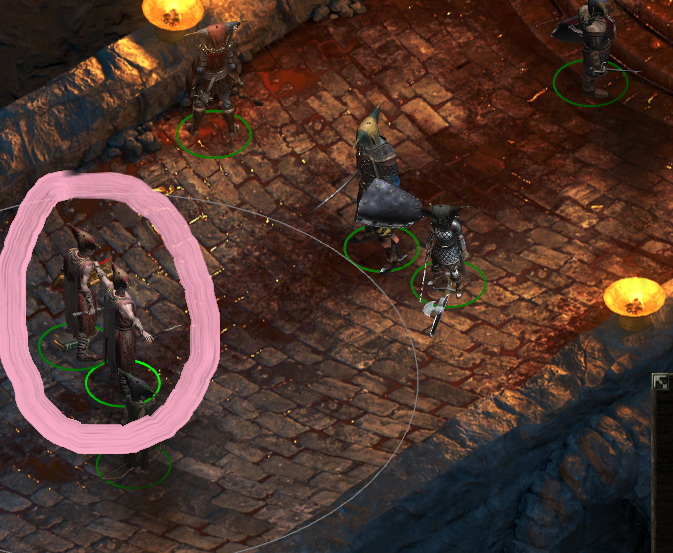 Also, the Skaen cultists started to fight each other. 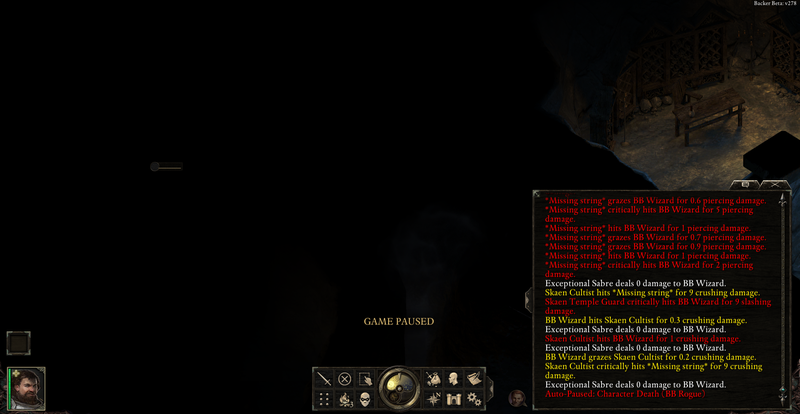 And after clicking "Done" you get a black screen and the only way out of that is to close the game (thanks for Windowed mode). 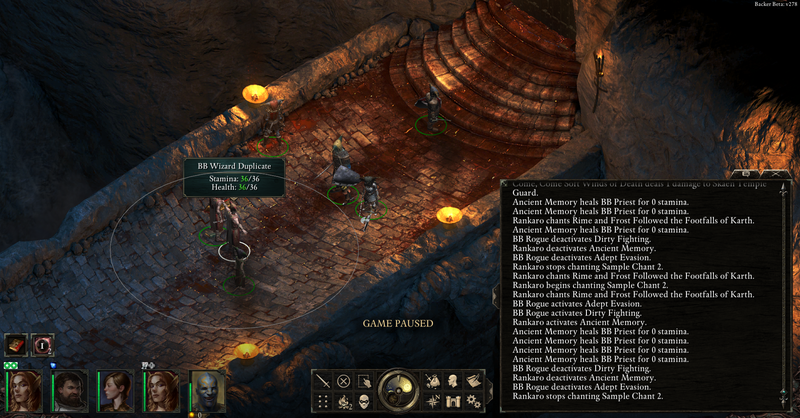 Closing the game and loading the save shows what is expected: the full party with the wizard before the skaen cultists with no problems so It doesnt seem to be a savefile-corrupting bug at least. 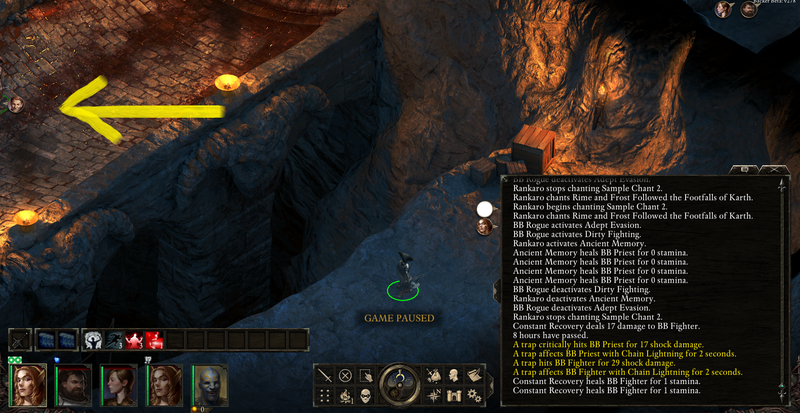 So yeah, pretty severe bug which can cause other bugs aparently. Edited by Fiebras, 07 September 2014 - 07:12 PM. Thank you for the posting and for providing detailed information about this bug. We are aware of the problem and I will be adding this to the known issues list so others can be wary of casting the spell at this time. The secondary concern with your save file is directly nested in the issue with Essential Phantom itself, so for the time being I would recommend that the spell be avoided. Thank you for the feedback and your support during the beta!